Copywriting is taking ideas and making them simple, short, concise and persuasive. A good product description copywriter must be able to do all of these things, potentially thousands of times. But that, of course, is where the problem lies – potentially thousands of times. Is Your Security Writer Batman? A masked figure in black lurks in a cave. He embodies fear itself, striking terror into the hearts of thousands. He taps away on his keyboard, building fear with his choice of words. It sounds like Batman, but it’s a copywriter doing some work for a client in security. And I’m not sure why he’s wearing a mask. As a copywriter with several clients in the security industry, I sometimes work hard to invoke fear. It’s a dark art – and perhaps a cheap tactic – but fear in copywriting is necessary for certain clients. It’s a powerful technique. But is it right to feed a sense of threat in your readers? Following on from my recent blog post about the value of deception in copywriting, I thought it would be interesting to do an about turn and share my thoughts on the truth. Lies are essential to the work of a copywriter. But like a magician covering his slight of hand with patter, a good copywriter employs enough truth to make his lies invisible. Here are just two of the techniques that I use most regularly to reassure readers that the brand I speak for is an honest one. Truth is a funny thing, isn’t it? It’s only natural for a copywriter to think that hard facts are the way to sell products and services. Sometimes, honesty is the best policy – after all, nobody likes to be deceived. Think of the millions of books sold every year, the hours that people spend watching TV drama, or the impossibility of getting a good seat in the cinema on a Friday night. People love stories. People love to be deceived in the right way. 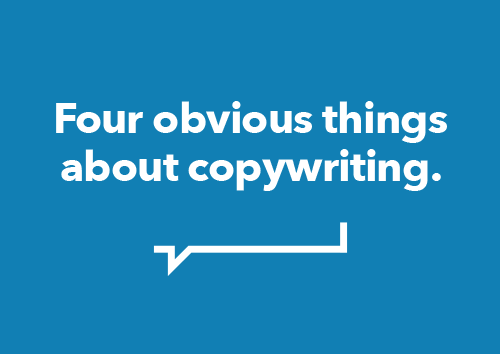 And that’s fortunate, because copywriters are by trade deceptive.